Carbon Monoxide is the silent killer of hundreds of people in the United States each year. 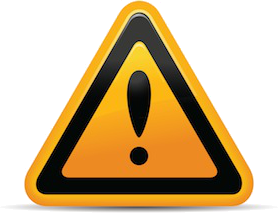 Carbon Monoxide can’t be detected with your senses which make it particularly dangerous. What are the symptoms of CO poisoning? Carbon Monoxide is a colorless, odorless, tasteless gas that’s produced during incomplete combustion of any fuel like natural gas, charcoal, gasoline, kerosene, wood or propane. When there is enough fresh air in your home to allow for complete combustion and these appliances are vented and work properly the trace amounts of CO produced are not typically dangerous. What can cause CO levels to rise quickly? Improper use of equipment – Using a barbeque grill in an enclosed porch. Operating a vehicle inside a closed area like a garage. Make sure your appliances (especially your furnace) are vented properly to the outdoors. Never leave your car or mower running in a closed garage or the CO will build up. Gorge Rentals Property Management makes sure when a property is rented that there are working smoke and CO detectors within 15 feet of each bedroom per floor. Batteries are replaced just prior to a tenant moving into the property. What is your responsibility as a tenant? Test CO alarms monthly. Learn how to test a CO alarm. Maintain and replace batteries according to the manufacturer’s instructions. Do not remove or tamper with a CO alarm. Gorge Rentals Property Management makes sure when a property is rented that there are working smoke and CO detectors within 15 feet of each bedroom per floor. Batteries are replaced just prior to a tenant moving in. Test CO alarms monthly. The First Alert CO alarm company encourages weekly testing. Push and hold the Test/Silence button on the unit cover until you hear an acknowledge “chirp”. The alarm horn will sound 4 beeps, a pause, then 4 beeps. The alarm light will flash red. The alarm sequence should last 5-6 seconds. It the unit does not alarm, change the batteries. When changing batteries clean the battery contacts well and install correctly. Dust or vacuum the interior of the unit. If after changing the batteries and cleaning the unit the alarm unit still does not chirp when tested the unit should be changed. Smoke and CO alarms do have a life of about 5 years. Low battery warning lights last for 7 days. As soon as the light is noticed change the batteries. For First Alert units a 9-volt Duracell MN1604, Energizer522and Ultralife U9VL-J-P are acceptable batteries. What happens if the tenant does not test and maintain the smoke and CO units in working condition? The offense can be up to $250 an occurrence. Gorge Rentals changes $50 for the first occurrence and $250 for each occurrence thereafter. 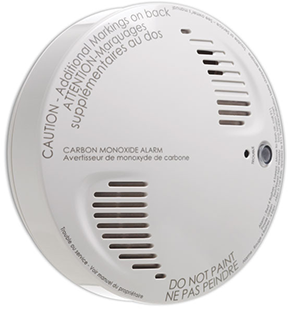 If a smoke or CO alarms fails to respond to your test promptly after cleaning and changing batteries then submit a Repair Request to Repair@GorgeRentals.com”. Keeping our owner’s property and tenants safe is serious business to Gorge Rentals. 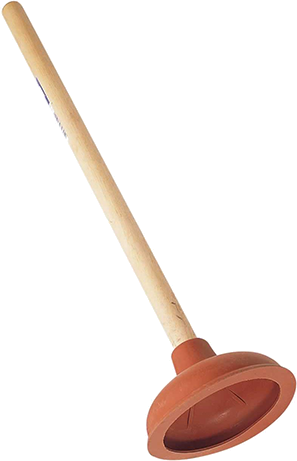 Cup/Sink plungers do not work well for a toilet because the plunger can’t properly form a seal in the toilet to create suction. 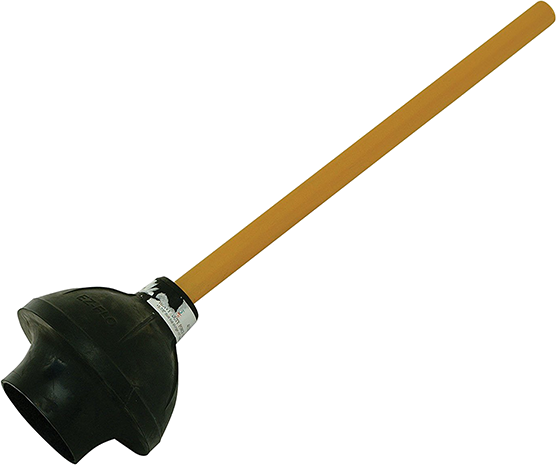 These plungers are designed specifically to unblock toilets. The flange or the lower rubber flap can be folded out to fit snugly into the opening at the bottom of the toilet bowl to create the suction needed to loosen the clog. Let the plunger fill with water each time before plunging to add force behind each plug. Otherwise air is in the cup and acts as a shock absorber making your hard work ineffective. Make sure the plunger is submerged. In order to fill the plunger cup with water to create force there has to be enough water in the toilet bowl. Add enough water from a bucket to submerge the plunger. Flushing the toilet to create water will likely make a mess until the clog is removed. Don’t use toxic cleanng chemicals like Drano. Plunging can create backsplash. Toxic chemicals can burn eyes and skin as well as hurt the environment. What if plunging doesn’t work? Call Gorge Rentals at 541-387-4080 or submit a Repair Request (Repair@GorgeRentals.com). Gorge Rentals is here to help you! © [wpsos_year], Gorge Rentals Property Management. All rights reserved.